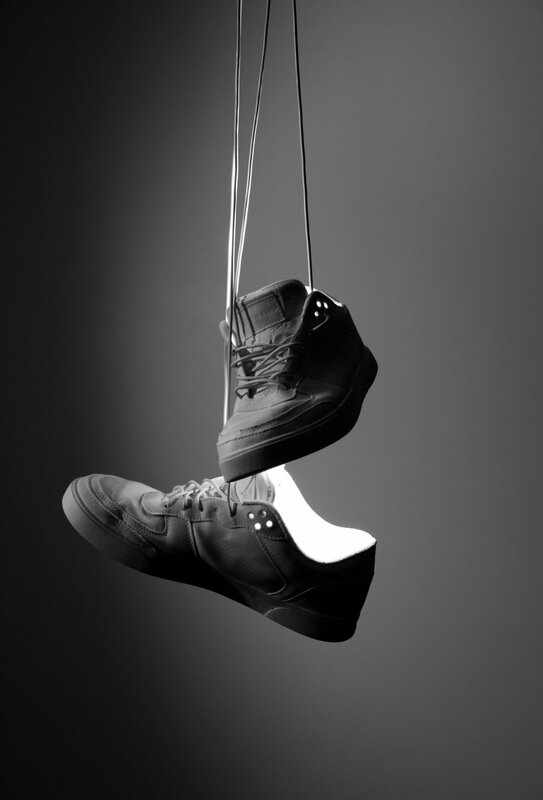 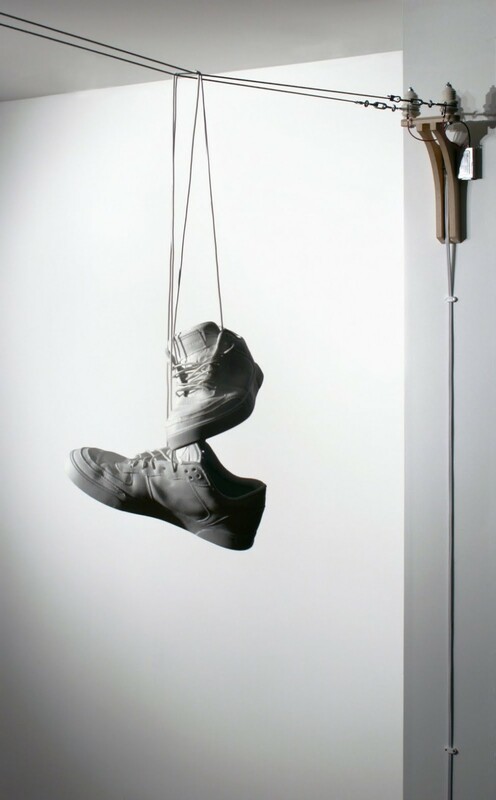 “Shoe Toss” pendant by Vancouver artist Jeremy Hatch, founder of Ricochet Studio Inc. 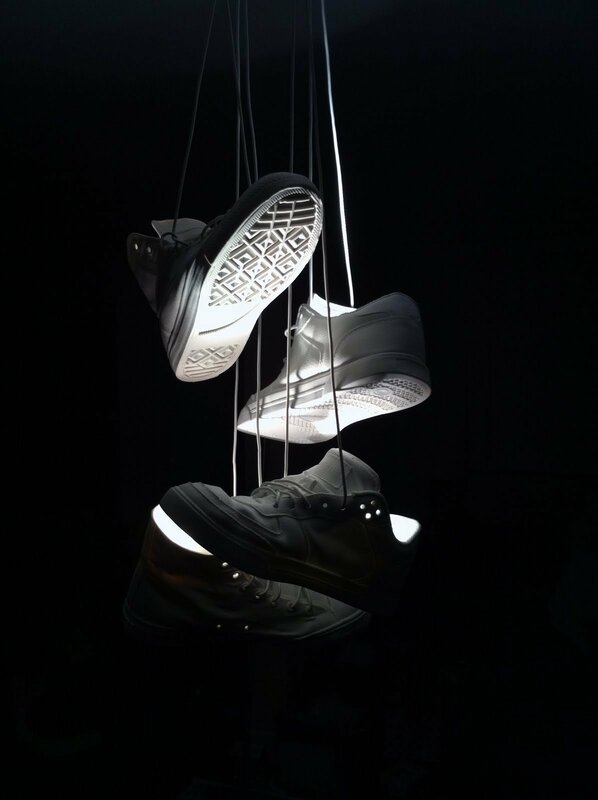 This lighting is inspired by the practice of shoe flinging where shoes with their laces tied together are thrown over a power-line, which became part of North American urban landscapes and mythology. 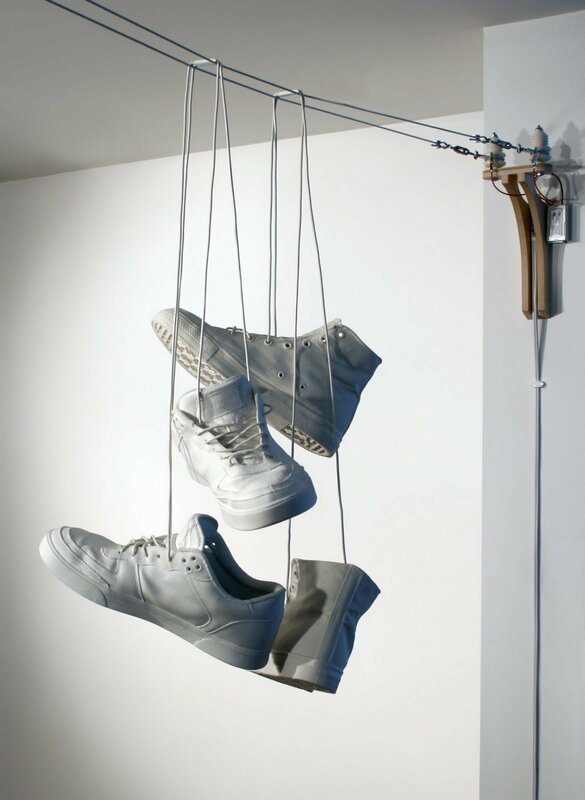 The porcelain shoes for this lamp can thus be removed, repositioned or added to the cables.